Brand new for 1963 - America was introduced to the new Buick Riviera! However, it wasn't the first time the Riviera name had been used. It had been used through the fifties to denote their higher end models within a series - particularly the pillarless hardtops. 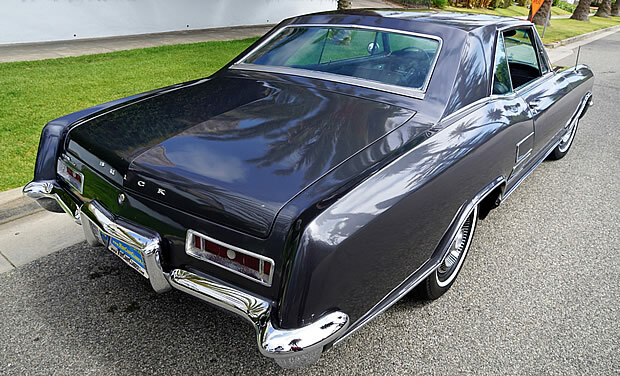 Buick promoted the Riviera as, "America's bid for a great new International classic car". It was personal luxury at its finest. 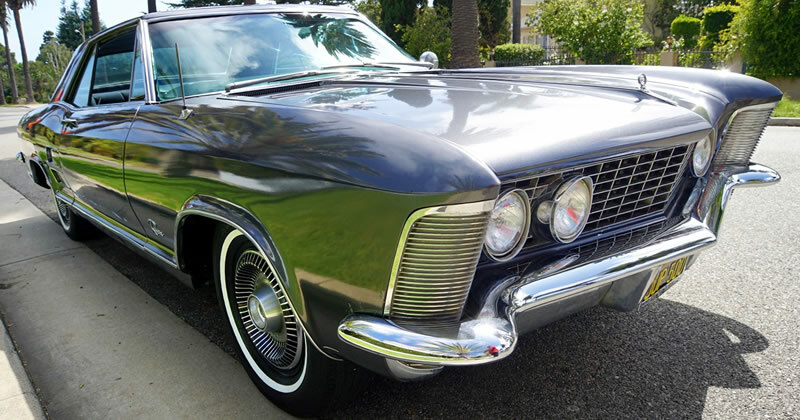 As a personal luxury car the Riviera was really aimed at beating the Thunderbird! With T-Bird sales down in 1963 it certainly had an impact. Angled view showing the razor-edge rear contours. The wheelbase at 117 inches was unique to Buick. However, much of the running gear came from other Buicks. The aim was to have plenty of goodies that were standard that we options on most cars. Luxury surroundings with airline cockpit styling was the order of the day. 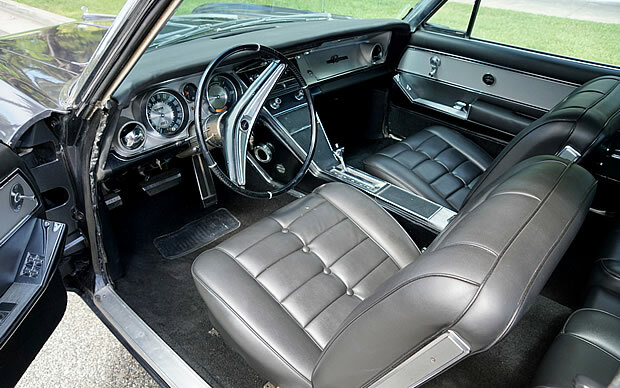 Bucket seats and center console were standard equipment. As too were power steering and power brakes. And it very nearly wasn't a Buick! It was originally conceived as a LaSalle for Cadillac. Buick needed some fresh interest to boost sales and so the Riviera was born. The Riviera was also the first mass produced car from General Motors that didn't use a frame around the door glass. Power comes from a 401 cubic inch 'Wildcat' 445 V8 engine outputting 325 horsepower. This is paired with a Turbine Drive automatic transmission. Both were standard with the Riviera. This particular beauty was originally built in Flint, MI . Buick managed to sell 40,000 Rivieras in its first year of production. The base price was $4,333. If you think that is rather a rounded number of cars sold it is because Buick limited production to create an air of exclusivity. Revolutionized body styling into the late 60s. I suggested to GM they make it all aluminum and electric powered.